Thanks to the incredible work of the Misaskim Organization, a Chaim Berlin Yeshiva Bochur has been reunited with his Tefillin. 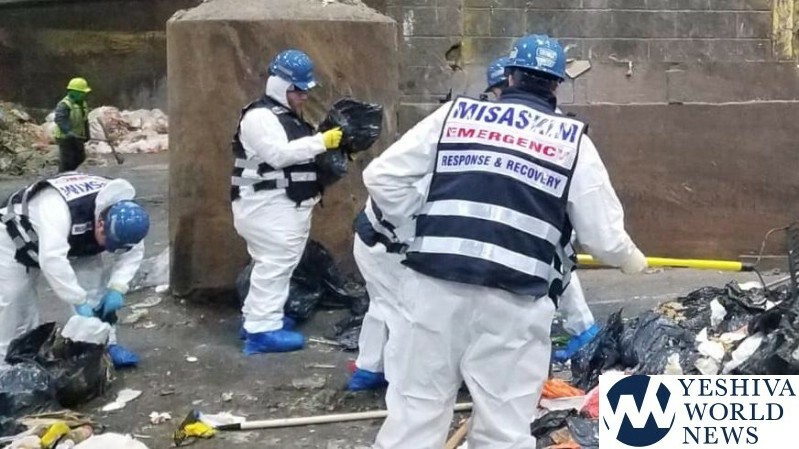 Rabbi Jack Meyer, founder of Misaskim tells YWN that he received a call from a family member that their son’s Tefillin had been lost, and it appeared they were accidentally thrown into the garbage. Making matters worse, today was trash pickup on that Brooklyn street, and the garbage truck had long left the area. 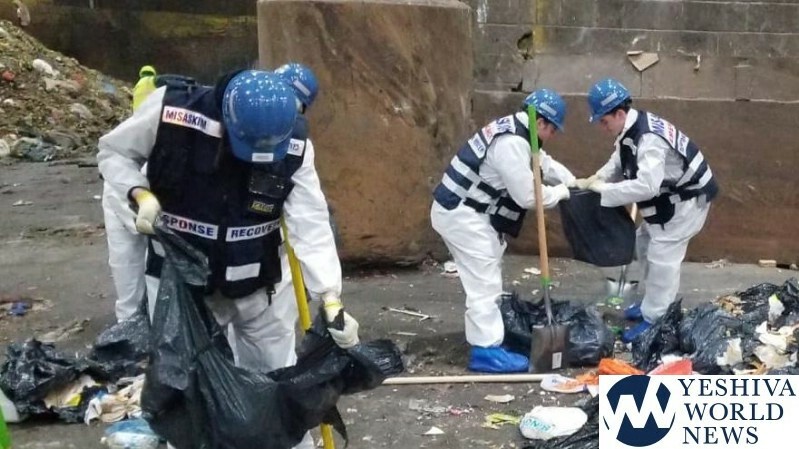 Meyer quickly contacted local elected officials, including Councilman Chaim Deutsch, who convinced the Department of Sanitation to allow the truck to be isolated, and a team of volunteers to sift through the entire truck of garbage. 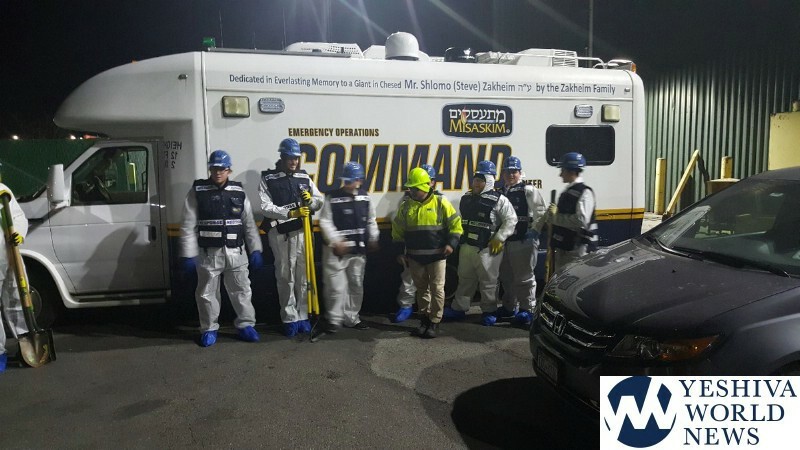 As can be seen in the attached video, the volunteers wore haz-mat suits for the non-envious task. 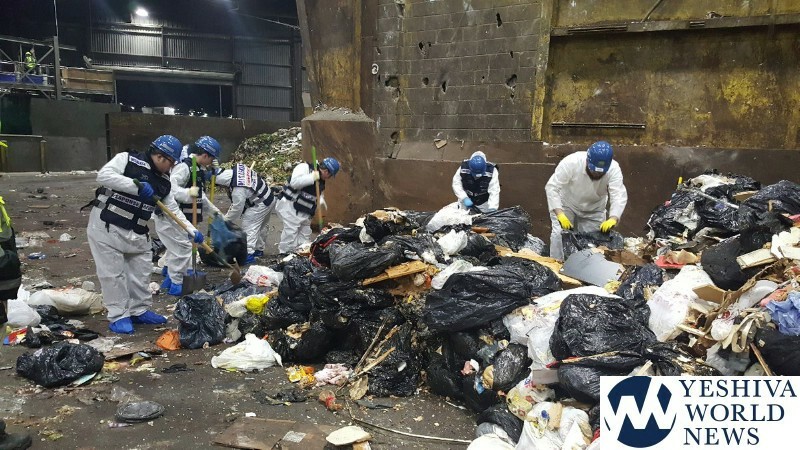 The truck dumped tons of trash onto the floor at a Sanitation facility, and the group began painstakingly searching through each bag of trash. Bichasdei Hashem, the Tefillin were found! 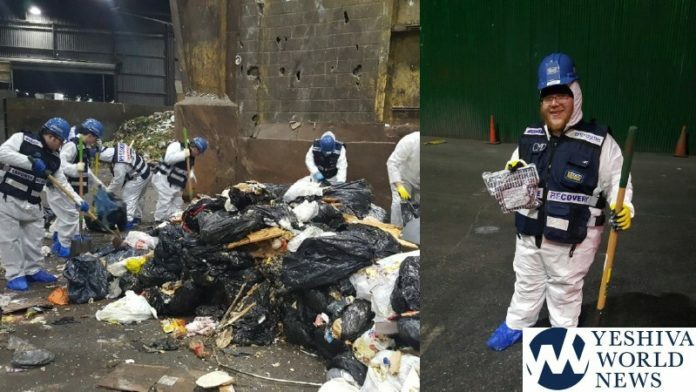 A tweet from the NYC Sanitation Department said “AMEN– lost religious items are recovered from transfer station by Coney Island resident and his friends. Items were mistakenly tossed in trash and found. Divine intervention with an assist from DSNY”. 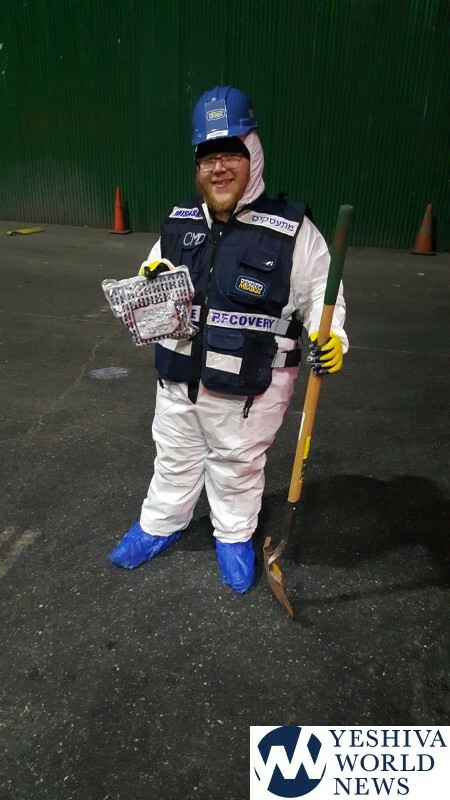 Rabbi Meyer told YWN that he thanks the Sanitation Department for their understanding, and allowing his volunteers to retrieve this precious religious item. Yes yes yes!! What a zechus. What yigiya. Amazing story thanks YWN. What a great story! 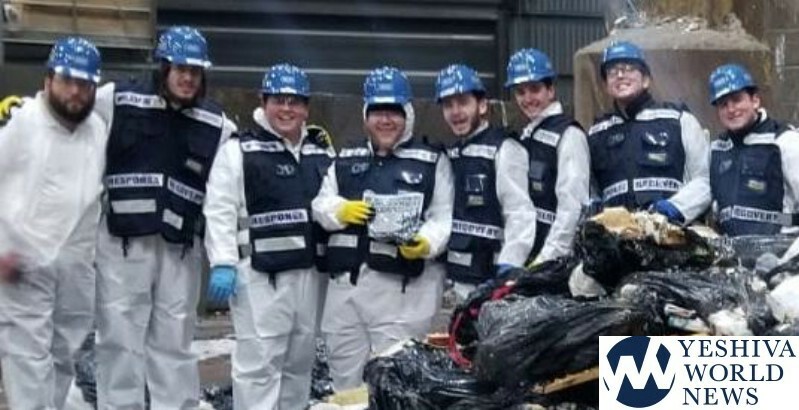 A huge shkoi’ach to all involved, including the Sanitation Dept., Councilman Deutsch, Misaskim, and of course, the volunteers who performed the holy — dirty work of searching for and retrieving the Tefillin. And to YWN for reporting it! !